Abnormal uterine bleeding is one of the most frequent manifestations of diseases of female genital organs and cause 2/3 of all hysterectomies. The results of study of the surgical specimens show that 40-69% of patients not detected no organic changes. In these cases, hysterectomy may be considered excessive interference that leads to an unjustified increase the cost of treatment and risk of complications. It is very important to determine the optimal volume of diagnostic procedures necessary to exclude and/or reduce the number of unnecessarily radical surgery in patients with AUB according to the modern nomenclature AUB. Abnormal uterine bleeding, nomenclature and classification of causes of abnormal uterine bleeding "PALM-COEIN", methods of diagnosis and treatment at AUB. 1. Adamyan L.V., Sonova M.M., Shamugiya N.M. Problemy reproduktsii. 2014; 4: 28-33. 2. Adamyan L. V., Zairat'yants O. V., Manukhin I. 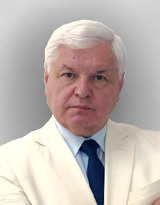 B., Tikhomirov A. L. isoavt. Problemy reproduktsii. 2014; 5: 63-65. 3. Obstetrics and gynecology. Clinical guidelines, 4th ed. (Ed. VN Serov, GT Sukhikh) [Akusherstvo i ginekologiya. Klinicheskie rekomendatsii, 4-e izd. (red. V.N. Serov, G.T Sukhikh) (in russian)]. Moscow. 2014. 4. Bishtavi A.H., Tabakman Ju.Ju. Solopova A.G. Akusherstvo, ginekologiya i reproduktsiya / Obstetrics, gynecology and reproduction. 2014; 4: 65-65. 5. Valeeva F.V., Zubairova L.D., Tagirova A.A. Prakticheskaya meditsina. 2009; 34: 109-111. 6. ZaidievaYa.Z. Al'manakh klinicheskoi meditsiny. 2015; 37: 100-104. 7. Kolbin A.S., Viljum I.A., Proskurin M.A., Balykina Ju.E. FARMAKOEKONOMIKA. Sovremennaya farmakoekonomika i farmakoepidemiologiya / PHARMACOECONOMICS. Modern pharmacoeconomics and pharmacoepidemiology. 2013; 6 (4): 26-34. 8. Levakov S.A., Sheshukova N.A., Bol'shakova O.V. Problemy reproduktsii. 2014; 2: 57-58. 9. Saidova R.A., Makatsariya A.D. Akusherstvo, ginekologiyaireproduktsiya. 2014; 8 (4): 82-83. 10. Tagirova A.A., Zubairova L.D., Tukhvatullina L.M. Kazanskii meditsinskii zhurnal. 2009; 90 (1): 78-83. 11. Tananakina E.N. Akusherstvo, ginekologiya i reproduktsiya / Obstetrics, gynecology and reproduction. 2014; 8 (3): 31-38. 12. Tananakina E.N. Akusherstvo, ginekologiya i reproduktsiya / Obstetrics, gynecology and reproduction. 2015; 4: 25-30. 13. Tikhomirov A.L., Kazenashev V.V., Manukhin I.B. Problemy reproduktsii. 2014; 6: 54-60. 14. Uvarova E.V., Lobodina I.M., Veselova N.M. Reproduktivnoe zdorov'e detei i podrostkov. 2008; 1: 8-13. 15. AlHilli M.M., Hopkins M.R., Famuyide A.O. Endometrial cancer after endometrial ablation: systematic review of medical literature. J Minim Invasive Gynecol. 2011 May-Jun; 18 (3): 393-400. 16. Cooper J.M., Erickson M.L. Endometrial sampling techniques in the diagnosis of abnormal uterine bleeding. Obstet Gynecol Clin North Am. 2000; 27: 235-44. 17. Cooper N.A., Barton P.M., Breijer M. et al. Cost-effectiveness of diagnostic strategies for the management of abnormal uterine bleeding (heavy menstrual bleeding and post-menopausal bleeding): a decision analysis. Health Technol Assess. 2014 Apr; 18 (24): 1-201. 18. Critchley H.O.D., Warner P., Lee A.J., Brechin S., Guise J., Graham B. Evaluation of abnormal uterine bleeding: comparison of three outpatient procedures within cohorts defined by age and menopausal status. Health Technol Assess. 2004; 8 (34). 19. Dijkhuizen F.P., Mol B.W., Brolmann H.A., Heintz A.P. Cost-effectiveness of the use of transvaginal sonography in the evaluation of postmenopausal bleeding. Maturitas. 2003; 45: 275-82. 20. Dood R.L., Gracia C.R., Sammel M.D. et al. Endometrial cancer after endometrial ablation vs medical management of abnormal uterine bleeding. J Minim Invasive Gynecol. 2014 Sep-Oct; 21 (5): 744-52. 21. GimpelsonR.J.Ten-year literature review of global endometrial ablation with the NovaSure® device. Int J Womens Health. 2014 Mar 11; 6: 269-80. 24. Medverd J.R., Dubinsky T.J. Cost analysis model: US versus endometrial biopsy in evaluation of peri- and postmenopausal abnormal vaginal bleeding. Radiology.2002; 222: 619-27. 25. Nergiz S., Demircan-Sezer S., Kucuk M. et al. Comparison of diagnostic methods for evaluation of postmenopausal bleeding. Eur J GyatcolOncol. 2014; 35 (2): 292-7. 26. Neuwirth R.S., Loffer F.D., Trenhaile T., Levin B. The incidence of endometrial cancer after endometrial ablation in a low-risk population. J Am Assoc Gynecol Laparosc. 2004 Nov; 11 (4): 492-4. 27. Seravalli V., Linari S., Peruzzi E.E. et al. Prevalence of hemostatic disorders in adolescents with abnormaluterine bleeding. J PediatrAdolescGynecol. 2013 Oct; 26 (5): 285-9. 28. Sharma S., Makaju R., Shrestha S., Shrestha A. Histopathological Findings of Endometrial Samples and its Correlation Between the Premenopausal and Postmenopausal Women in Abnormal Uterine Bleeding. Kathmandu Univ Med J. 2014 Oct-Dec; 12 (48): 275-8.